Ain't nothing like shopping with a purpose. I'm in love with these rings. The Trifecta Feather is officially on my Christmas wish list. 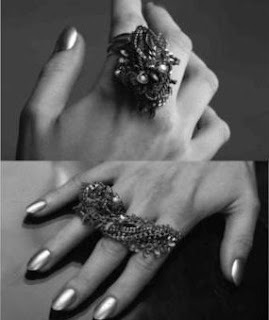 Simone Berry, creator of Holbrooke is now selling her amazing rings online! 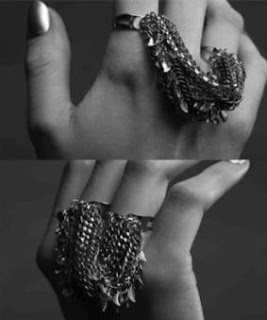 Chains layered with diamonds, layered with various metals dazzle your hands any way you wish to wear them. You can even create an individualized design to suit your unique taste. Choose chains and metal finishes from any trifecta ring. These rings are all handmade in NYC has an adjustable ring band. 10% of your purchase will be donated to Charity Water. What your donation will do? $20 provide one person with clean, safe drinking water for 20 years, and $100 can give a family of 5 clean water for 20 years.